In a world where having magic is everything, how would you be able to achieve your dreams if you didn’t even have an ounce of it? If the odds are stacked against you, would you quietly bow out? Or would you keep on giving your 110%? All these questions sound like something most shounen anime series answer, and Black Clover is definitely one of them. But believe me when I say that it’s also quite unique in its own way. It’s an inspiring and fun story worth following, especially if you’ve been a fan of many other shounen anime such as Bleach or Naruto. I mean, if it wasn’t, it wouldn’t have aired more episodes than it had originally planned! Orphans Asta and Yuno have the same goal: to become the Wizard King, a title only fit for the strongest mage in the Clover Kingdom. The only problem is, Yuno has always been a genius in magic, while Asta doesn’t seem to have been born with it! What’s more is that, during the ceremony where all 15-year-olds get their own grimoires, Yuno was given the rare four-leaf clover grimoire, while Asta didn’t get anything! At first, at least. During a run-in with a thief who wanted to steal Yuno’s grimoire, Asta suddenly obtained an even rarer five-leaf clover grimoire! The stage has now been set for the two rivals to see who will reach the top first: the natural-born genius, or the one who doesn’t know how to give up. Honestly, the writing of the story is what I really liked about this show. It might seem pretty simple and generic at first glance, but once you delve deeper as the episode goes on, you realize that you’re hooked! The system of its world was interesting and became the plot’s primary driving force; they meshed that well. The themes about never giving up, being the underdog, getting discriminated for being different, these are all common topics tackled by multiple other shows, but Black Clover imbedded these in the story so naturally. In multiple instances, it even gave me a lot of feels, especially when it comes to the Black Bulls and their camaraderie! Another thing that never felt forced was how smoothly each story arc transitioned. You could still distinguish where one ended, and another began, yet they’re so interwoven with each other that they affected the next part of the tale. Not to mention that the arcs themselves were already chock full of surprises! I don’t think I could’ve properly predicted what would happen next. The characters also fit the general tropes but they were still likeable and had their own charms. Lots of them were very relatable, while some of them were endearing, entertaining or really just interesting. There are even a few ones who get put in danger and you’ll end up worrying if they’ll live or survive, realizing that you’ve already become attached to them! And of course, what good are characters if they don’t develop over time? Since this is a long series, not a lot of them immediately grow, and since it has a lot of characters, not a lot of them have had enough screen time to even develop yet. However, those who do learn and grow as the story progresses, you can’t help but be so proud of them! More so when you learn about each of their struggles and previous experiences. There’s so much potential in the story that badly made me want this anime to be amazing. Mediocre verging to bad art, on almost every episode, had to ruin it all. It’s not like quality visuals were impossible to achieve though, because there were fight scenes that were really cool, and there were still a bunch of episodes that were truly AMAZING to watch (like Episode 49). I know how hard it is to animate, but I’m not sure if it was the scheduling or the budget that had problems. Anyway, if you can look past the derpy art, then that’s great for you since you’ll still be able to enjoy watching the series. There’s another element of the series that a lot had qualms with, though: Asta’s constant yelling. Given that he’s the main character and he’s in all of the episodes, it could get pretty annoying. Personally though, I think you get used to it eventually, and now I somehow can’t imagine him sounding different anymore. 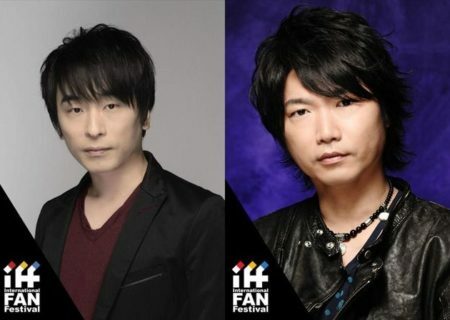 On another note, the staff picked some really good tunes for the opening and ending songs, especially ‘Black Rover’ by Vickeblanka (3rd OP) and ‘Guess Who Is Back’ by Kumi Koda (4th OP). They’ll be forever my jams and on my list of favorite opening sequences! 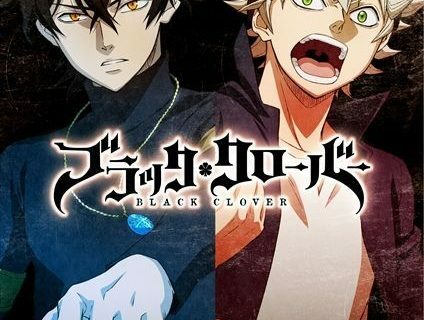 Manga adaptation: Black Clover is originally a manga created by Tabata Yūki published in the popular Weekly Shonen Jump. The story premiered back in 2015, and now it has 175 chapters, and 17 volumes. 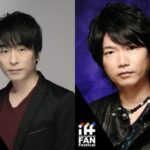 Pierrot: Aside from its manga being published in the same magazine, another similarity that Black Clover has with Naruto and Bleach is that they’re all made by the same studio. Odd ones out: This is the primary theme of the story, with a protagonist who’s the only one who can’t use magic, the squad in focus full of members who don’t fit the status quo, and a group of villains who hold a grudge for being discriminated (it’s worse than it sounds). All of these have to get by in a society with a really bad prejudice problem. Overall, I have mixed feelings about this anime adaptation to be perfectly honest. I think there are a lot of stories out there with almost the same concept and themes, but Black Clover has a certain appeal that I like, which makes me want to keep on watching it. Maybe it’s also because I’m already invested in the story and I want to continue seeing where it will lead Asta and the others; I did watch this for a whole year! The only real problem I have is the visuals. If it was done better, this would’ve been a hundred times better to watch. That’s why, if the art doesn’t improve any episode soon, I really might have to give it up entirely and just read the manga. A lot of arcs develop in unexpected ways. Certain themes will give you lots of feels, especially the idea of a found family. Asta will really teach you how to never give up despite tons of hardships and obstacles! Has a simple but interesting world building and system. When the episodes have bad art, they’re distractingly bad, and this happens more often that you’d like. Asta’s constant yelling may hurt your ears. The series has a lot of generic topics and tropes, so it may seem unoriginal and bland. 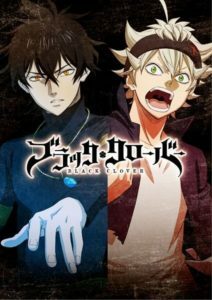 If you’ve watched Black Clover as well, what thoughts did you have on it? Did you love it, or was it meh? Are you going to keep on watching the rest of the show? Let us know in the comments! For those who haven’t yet, it’d be great if you still gave it a try so you can see if it’s your cup of tea.